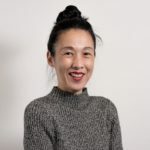 PROSPECT PARK – The Prospect Park Alliance, Brooklyn Borough President Eric Adams, and Nitehawk Cinema are hosting another season of A Summer Movie Under the Stars starting in July. 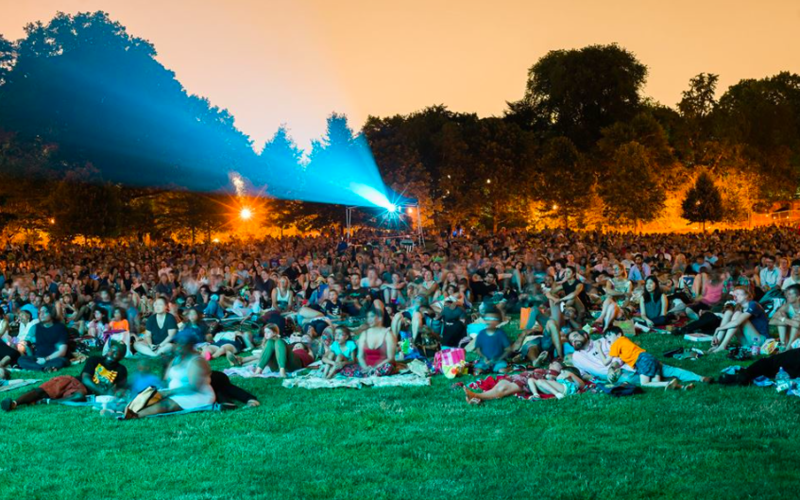 For four Wednesday evenings in July and August, live musical performances will be followed by free screenings of family-friendly flicks at Prospect Park’s Long Meadow North. Nitehawk Cinema curated the movie selection, showcasing films that were screened at the Sanders Theater/Pavilion Theater during the venue’s 90 year run. Currently under construction, the theater will re-open this summer as the Nitehawk Prospect Park. Wednesday, July 18, The Wizard of Oz with Highline Chamber Ensemble’s jazz trio playing songs from the classic film’s soundtrack as well as standards from the 1930s and 1940s. Wednesday, July 25, Alice in Wonderland with Morricone Youth performing a psychedelic set. Wednesday, August 1, West Side Story with Skyline Salsa Band playing music inspired by the film’s score and soundtrack. Wednesday, August 8, Space Jam with the Brooklyn’s DJ Dr. Israel spinning R&B, hip-hop and dance hits from the 80s and 90s. 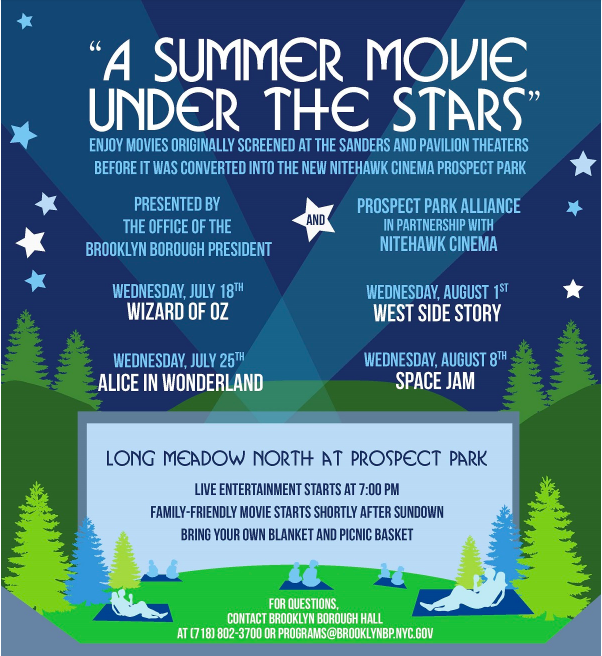 A Summer Movie Under the Stars 2018 takes place at Prospect Park’s Long Meadow North (closest entrance is at Grand Army Plaza & Eastern Parkway). Bring a blanket and enjoy!